Jamie loves to sing everything from folk to country, pop to jazz. 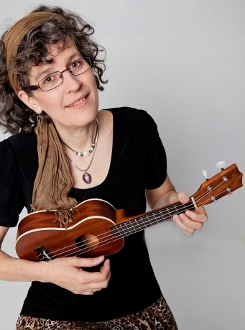 Singer-songwriter-parking lot attendant Jamie Anderson has played her unique original songs in hundreds of venues in four countries, including forty-seven U.S. states and three Canadian provinces. She’s folk without the Birkenstocks, country without the big hair, pop without the meat dress, and jazz without the weird chords. Her ten recordings include the 2013 release Dare. Jamie’s music has been featured on Good Morning America, the Dr. Demento radio show, NPR’s Car Talk, and stations all over the world. She loves being a musician, so she doesn’t really park cars, but her mama said she should have something to fall back on. Dare was recorded with engineer and co-producer Chris Rosser (David Wilcox, Billy Jonas). This collection of fourteen originals includes everything from the title cut – a poignant pop/folk song about body image – to "Run," a country song of advice written with the help of her Facebook friends. "Mamaw’s Roses" is a tender folk ballad about her grandma and "Black and White" is a thoughtful jazz number about growing older. In "Menopause Mambo," she gives you excellent reasons to send her chocolate. Musicians include Free Planet Radio (Chris Rosser, River Guerguerian and Eloit Wapodian), a band whose collective credits include the Paul Winter Consort and gigs at Carnegie Hall. Also featured are talented multi-instrumentalist Kara Barnard (Ferron, Tret Fure), and backing vocalist Tory Trujillo (Laura Love). Jamie played guitar, ukulele and mandolin. Jamie’s dad was a country musician, a painful thing for a teenager who would rather listen to Carole King, but it did mean there were always guitars lying around the house. In high school she memorized every chord in a Mel Bay songbook, and for the next few years played local coffeehouses and weddings. After the hundredth request for "Wedding Song," she decided to write her own songs. Jamie did her first national tour in 1987 because she needed to earn gas money to get to a music festival. She’s been collecting tiny motel soaps ever since. Laughter is a big part of Jamie’s live performance. Her offbeat song intros and stories help keep the performance fun, but don’t be surprised when she delves into more serious issues. She’s emceed at many events and twirls the baton badly, sometimes at the same time. She’s also a bellydancer and former radio DJ, never at the same time. When Jamie isn’t touring, she’s taught music classes at Duke University, arts centers, festivals, and her studio. Jamie’s also an author. Her memoir, Drive All Night: Taking my shirt off for Amy Ray and other true tales from a touring folk singer, will be out on Bella Books in 2014. 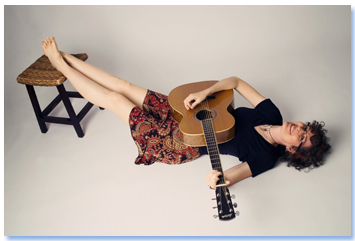 Her extensive credits include book chapters, articles and CD reviews in Acoustic Guitar, Curve, SingOut! and more. She’s currently writing a book about early women’s music. 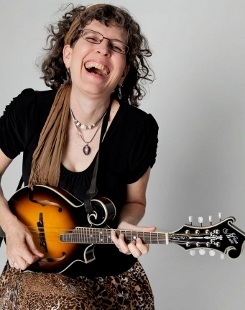 Awards include finalist in the Mid-Atlantic Song Contest (2010, in the jazz category), finalist in the USA Songwriting Competition (2008, for "Your Mama Scares Me"), the Jane Schliessman Award for Outstanding Contributions to Women's Music (Women in the Arts, 2006), and others that only her mama cares about. Jamie’s expressive voice and personable stage manner are an asset to any stage. She’s legally blind in one eye so you really don’t want to hand over the keys to your Volvo ... although, with enough chocolate, she’ll consider it. Make sure your insurance is up-to-date.